ow did a self-described “greaser, surfer, hippy” become a vice president of the Empire that Star Wars built? 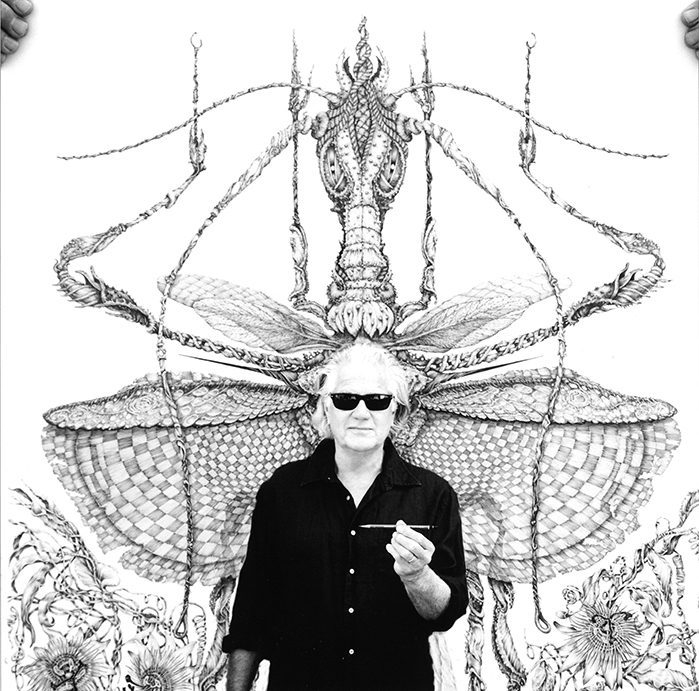 Ojai-based artist Jeff Mann, born and raised in Hollywood, has always shown an amazing talent for drawing that displayed a keen attention to detail. His ability to take apart and re-assemble everything from lawn mowers to hot rods to a sailing ship, combined with his talent for meticulous drawings, has stood him well. He financed his education working on the Sausalito waterfront, restoring a 1910 sailing cargo ship. At San Francisco State University he studied under the “Super Realists” Robert Bechtle and Richard McLean. Loquacious story-teller and master craftsman, Jeff admits that he has a knack for “being in the right place at the right time,” a gift that ultimately led to his 25-year career with Industrial George Lucas’ Light & Magic. Jeff has now left the work that took him from model maker to corporate vice president and is creating intricate, phantasmagorical drawings that are, not surprising, filled with detail. Mann’s documentation took place in 2018 and was sponsored by John & Cherie Brant. The AfterGLOW was hosted by Kevin and Christine Beirne.